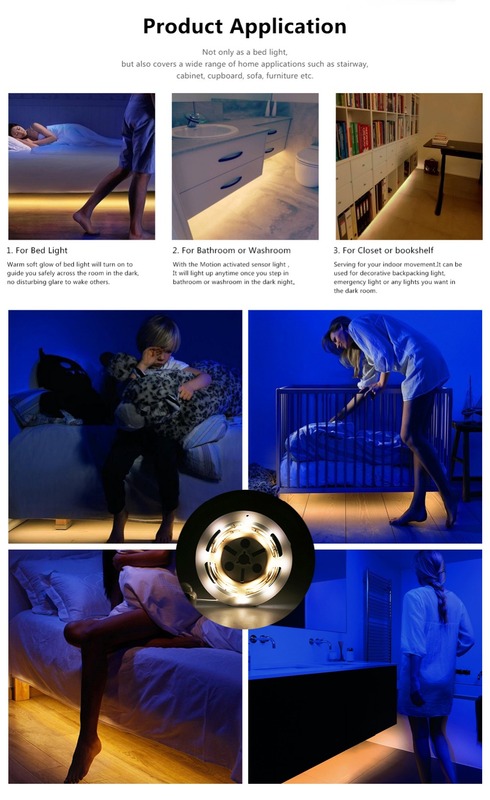 The bedlight Kit is an innovative LED flex-strip lighting solution consisting of two 5-feet (1.5 meters) LED strips (warm yellow light) and a motion activated sensor, designed to provide comfort and safety in your home. the LED Strip comes with self adhesive tape for easy mounting and installation that requires no tools. Powered by a 110V /220V outlet (included) and uses energy efficient LED lighting that consumes 80% less power than traditional incandescent lighting. The timer controlled, motion activated sensor replaces the need for switches and responds to your needs, lighting only at night when you need it.